As a photographer, one might assume my family is well documented, but the reality is, it's not. My husband and daughter are well documented but Mommy is often left behind the camera and missing from family moments. My little family has done a lot of traveling in the short two and half years of my daughters life. So when it can time again for family photos, I used a family trip to New York City as an opportunity. 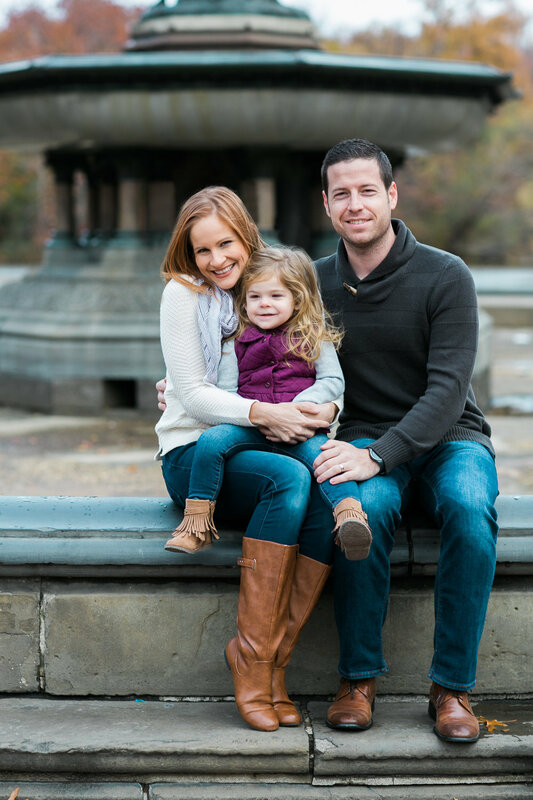 We scheduled a family session in Central Park and it was the best travel decision I have made in a long time! My first thought was it might be to costly in the big city, but the reality is you can find a photographer within your budget just about anywhere in the world. We ended up booking a friends wife, Asher Gardner, an amazingly talented and sweet woman. We met on a cold November day in the park and spent and and hour taking photos. It was so exciting having professional images of all three of us in a place that we created life long memories. Not to mention it makes great wall art! So the next time you are planning that big family trip, take some time do some research and find a photographer to capture your family. Oh and if your in NYC make sure to look up Asher Gardner Photography!